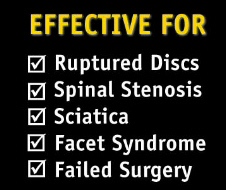 Spinal decompression therapy is FDA cleared and has a high success rate for pain associated with herniated or bulging discs...even after failed surgery. It is a non-surgical, traction based therapy for the relief of back and leg pain or neck and arm pain. 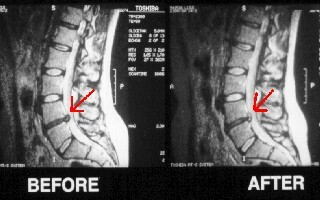 During this procedure, by cycling through distraction and relaxation phases and by proper positioning, a spinal disc can beisolated and placed under negative pressure, causing a vacuum effect within it. and Rehab Center chose the ATX Decompression table seen above. 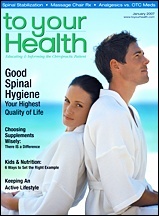 treat discs in both the neck and the low back. for higher levels of spinal decompression and disc rehydration. Click here if you would like to review the studies yourself. authored by Dr. James Edwards. In almost all cases, the treatments are completely painless. achieved utilizing 20 sessions over a 6-week period. Call 724-852-4222 to Schedule an Appointment!